The NC41500USB enecharger is a fully automatic quick charger designed for 2 or 4 Ni-MH AAA & AA cells. 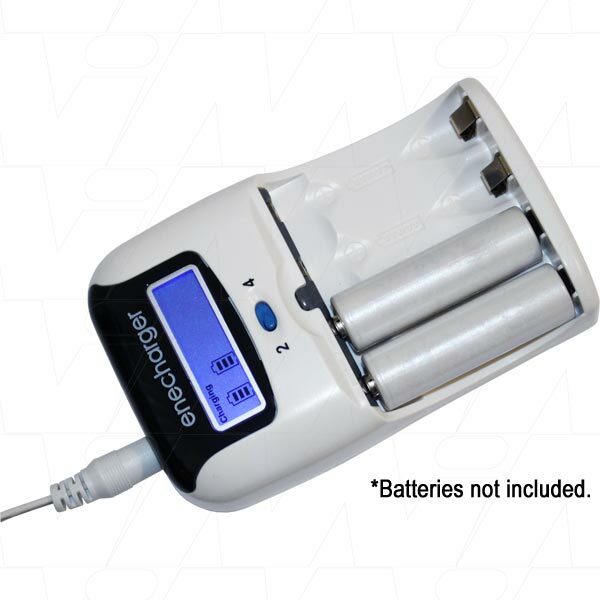 Recharges 2 or 4 pcs of AA and AAA batteries at a time. Includes USB cable for connection to powered USB devices. Fast charge rates AC or 12VDC input AA 1500mA, AAA 600mA. USB input AA/AAAx2 560mA, AA/AAAx4 280mA. Top off trickle charge rates: AA 60mA, AAA 35mA.